Some days are like that, even in Australia Japan. Oh, and you might be wondering what a gaijin trap is. Gaijin means “foreigner.” It’s actually an abbreviation of gaikokujin, which loosley translates to “person from outside the country.” (And I should probably mention that some people consider “gaijin” to be a rude or pejorative term. I, however, have no problem with it.) 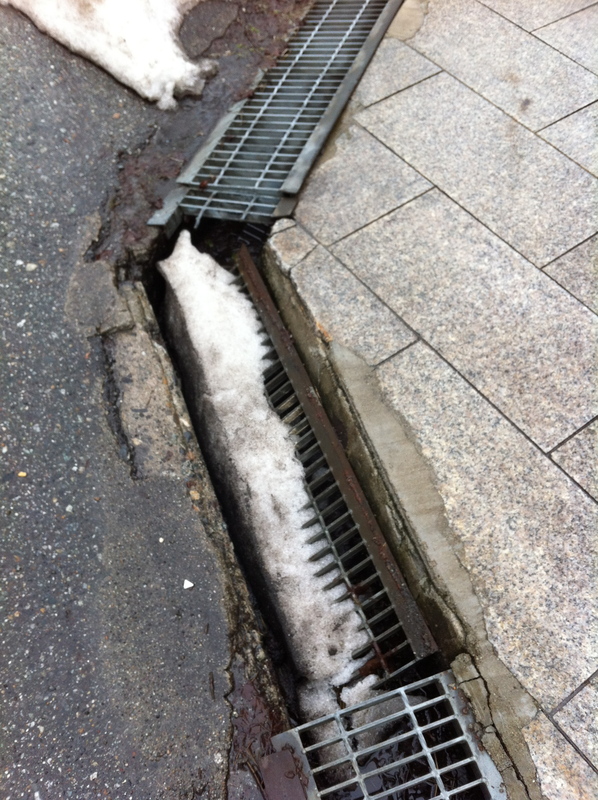 Gaijin traps are the gutters that run alongside most Japanese roads. They are sometimes covered and sometimes open. The covers can be either metal grates or sturdier-looking concrete shelves. Either way, it’s best to avoid walking on them. The covers can cave in or break and you can get hurt or just embarrassed. This is not the gaijin trap that attacked me but it is a good example of why they are dodgy.